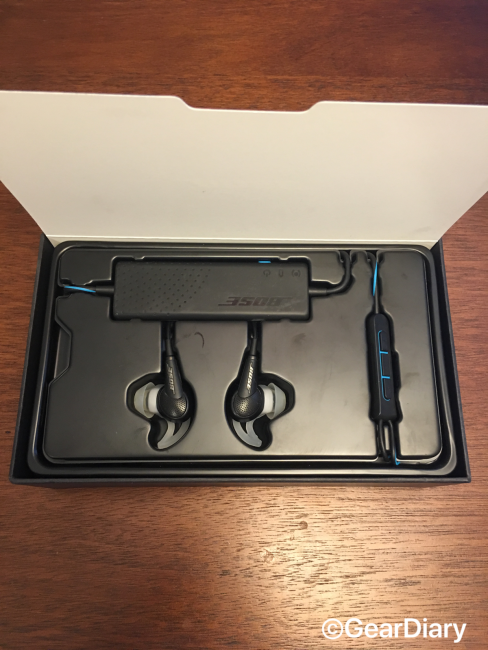 Bose is often regarded as the go-to choice for noise-canceling headphones and earbuds and their recent QuietComfort 20 headphones are no exception. Boasting one of the most comfortable headphones I’ve worn in years, they offer truly impressive noise-cancellation. At $259.99, however, these headphones are some of the most expensive on the market of in-ear headphones, and an integrated battery pack means that these headphones have their limitations. As a college student, I prefer to not leave the house with the bulkier over-ear headphones I normally use. The QuietComfort 20 offered me a smaller, travel-friendly, option to take to and from campus for daily wear. I am generally not a fan of in-ear style headphones. The QuietComfort 20 has changed my mind and for the first time, in-ear headphones have become my go-to daily use headphones. These headphones, however, are not water or sweat proof, so if you are planning to use these for exercising or fear you might drop them in a body of water, these are not the headphones for you. Provided with the headphones are three separate silicon earbud sizes. Changing out the given size for the larger pair, the QuietComfort 20 fit snuggly in my ear and created effective noise-isolation without the noise-canceling active. I’ve now used the QuietComfort 20 for over eight months and have to say they are hands down the best headphones I have ever owned. On a typical day, I take an hour walk around campus before classes start. 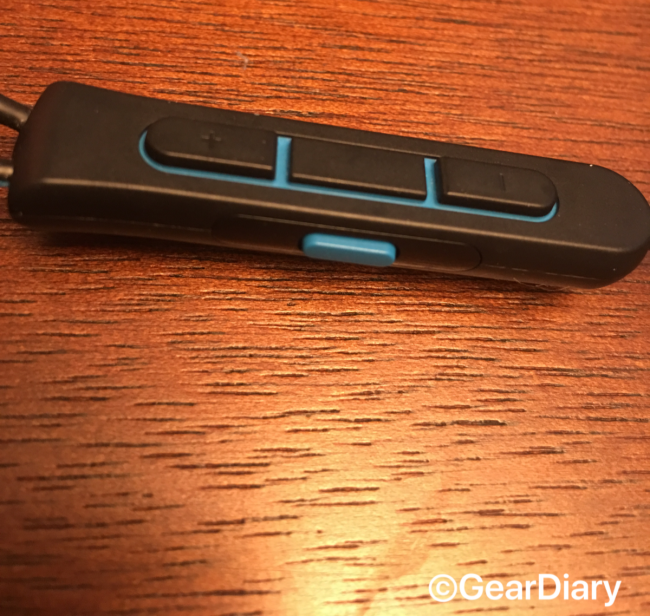 Bose states that the average battery life for the QuietComfort 20 is around 16 hours. After months of daily use, I would say that this is right on the mark. On a single charge, I can often get between two and two and a half weeks of use out of my headphones without recharging. On the off-chance that I forget to turn them off and they sit on for two to four hours during a lecture I have never had to rush to find a charger or even scurry home to charge up for the next day. On the rare occasion that I simply have forgotten to charge the headphones and they do die in the middle of my day the headphones continue to work and play music or whatever else I am listening to just fine, albeit without the option of noise cancellation. While the battery itself supports a generous amount of time between required recharges, unfortunately, the lithium-ion battery is integrated into the headphones themselves. While I have not experienced a decay in battery life or any issues with the battery itself, know that there is no way to replace the battery. Once the battery is no longer able to hold a charge or you are experiencing a decay in the time usage, there is no way to fix the headphones and you will need to find another pair. The QuietComfort 20 also includes a built-in mic and three-button remote. The remote is fairly standard with controls for volume and general play functions such as skip, pause, and play. As a bonus the remote allows you to activate the “aware mode,” a feature which turns on/off the noise cancellation and audio to allow for full conversations while wearing the headphones. This feature is a great way to not lose full concentration to your environment and have found myself using it more frequently than I ever imagined when people stop to ask for directions while visiting the campus. Despite the useful features of the remote, the built-in microphone is lacking in design. The mic will suit you just fine for everyday conversations and communications, however, I cannot recommend taking any important calls on it. The microphone itself is on the backside of the remote, meaning that it is often creating a lot of background noise as it rubs against your clothing, especially while on the move. It can also miss your voice mid-conversation when the mic is aimed at your chest. Unfortunately, these headphones are not universal, while they can playback and noise-cancel on any device the remote is only able to work on specified devices. 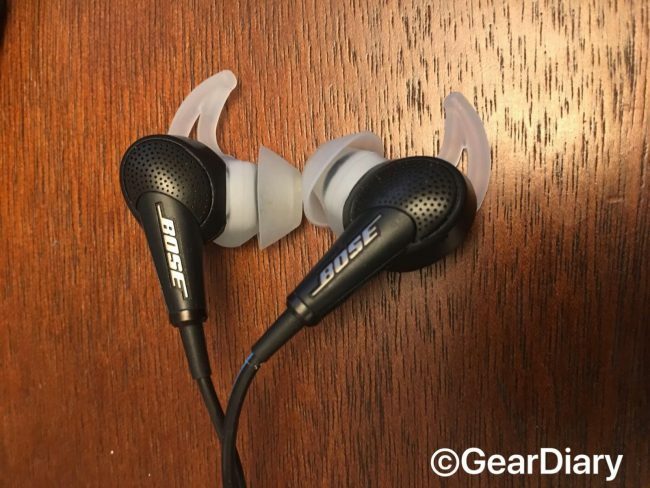 Bose offers an Apple or Android compatible versions of this headphones. If you have devices all on one of these platforms you will be perfectly fine, but those of us who have various platform devices will not be able to make use of the remote consistently among various devices. Bose’s QuietComfort 20 are some of the best noise-canceling available. Their high cost and lack of viable battery replacements may deter many potential buyers. If you are looking for a daily wear noise-canceling set of headphones that are easy to travel with while providing some of the best noise-cancellation and sound quality, then you cannot go wrong with the QuietComfort 20s. 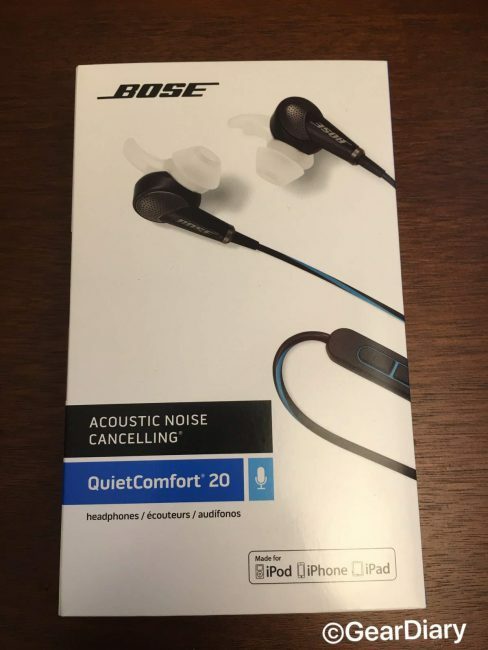 The Bose QuietComfort 20 Headphones retail for $259.99, and they are available directly from the manufacturer and from other retailers including Amazon [affiliate link]. What I Like: Excellent noise-cancellation for the headphone type and size; Compact and travel-friendly design; Excellent battery life; Incredibly comfortable headphones to wear; The inclusion of an aware mode. What Needs Improvement: High price tag; Integrated battery means there is no option for spares batteries on the go and the noise-cancellation is gone for good once the battery officially dies; The microphone is poorly designed; Headphones are not water or sweat proof; The built-in remote is not universal for apple and android devices.